After the Transport Minister Simon Bridges accused blogs of tittle tattling to the media over the Third and Fourth Mains, and the East West Link Bridges decided to rush a release out on National’s commitment to investing in Auckland’s transport infrastructure. No commitment nor even comment on building either of the two Airport Lines however! The Mill Road highway is the northern half of the Mill Road corridor linking Manukau to Drury with the southern half linking Drury to the Southern Motorway. The southern half of the Mill Road corridor is already committed to by the Government but it seems the northern half (which will include bus lanes now apparently) is now being committed to as well. The Third Main commitment has not escaped my notice after Bridges tried to poo-poo the release of the Business Case into the project: Finally revealed: report shows rail destroys roading for Auckland freight. 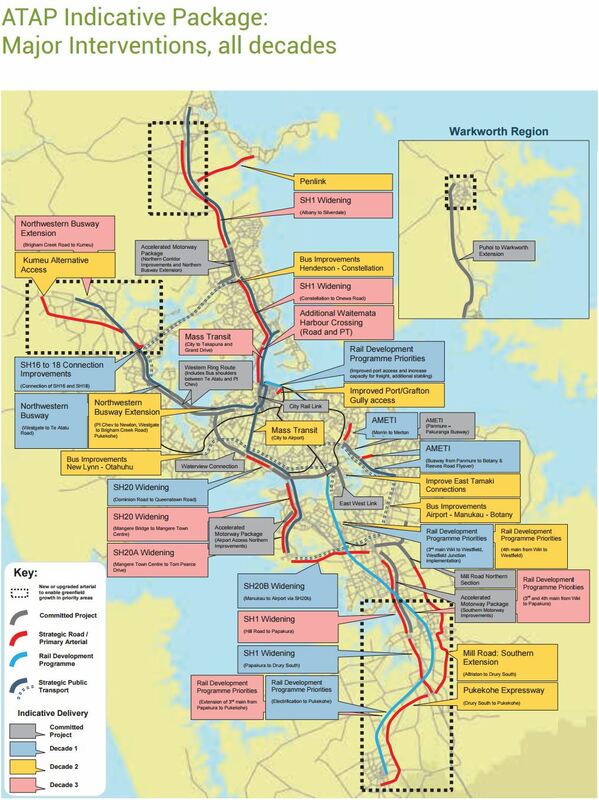 Pukekohe Electrification was already committed to for 2025 and the North West Busway was meant to be all done also by 2025. Labour are due to release their full integrated transport policy on Sunday. From what I have seen it is looking extremely solid (hint: someone gets a light rail line that previously they were not and will not under National’s announcement above nor in the ATAP either). Onus will subsequently return to National to up the ante post Sunday if it is serious committed on ‘Delivering for New Zealanders’ and untangling the transport mess in Auckland. 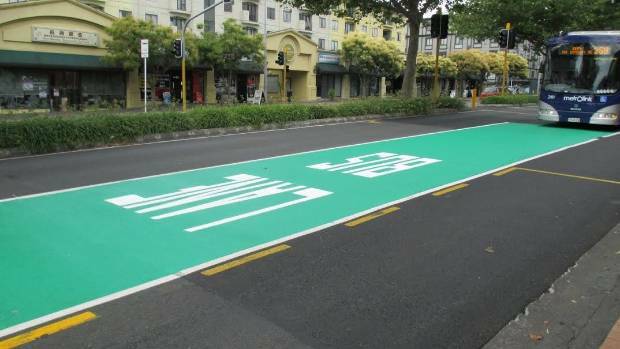 OPINION: Southern Auckland is blessed with a new bus network, the Southern and Eastern rail Lines and AT-HOP fares allowing residents to get around most places within the South (or to the City Centre) reasonably enough. A fully loaded 3-car train will move 375 people and take around 285 cars off the road (double for a 6-car set). 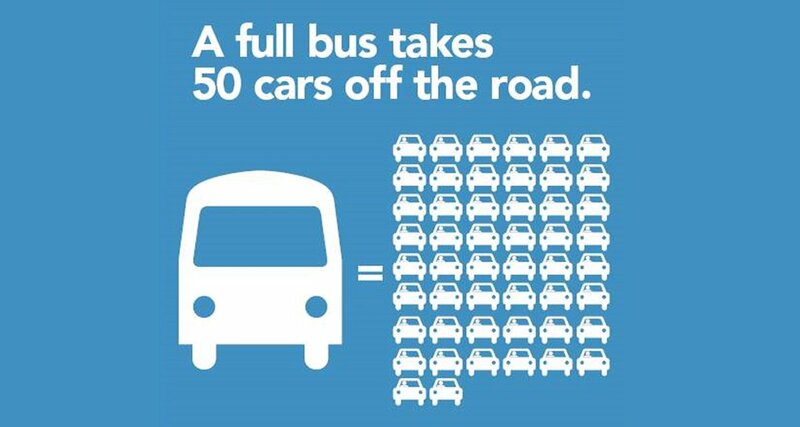 A fully loaded bus moves around 72 passengers taking 50 cars off the road. A survey of 1096 residents commissioned in 2015 by Auckland Council indicated that ‘easy access to public transport (transit)’ was either important or very important to 82 per cent of respondents (the same for easy access to the motorway). What does this show? People like choice available when taking trips – something we do not quite have nailed down in Auckland yet. So where am I going with these statistics? Remember 82per cent of people surveyed said it was important to have easy access to transit (and to the motorway), so let’s present them with some real choices. Those quick wins of: bus lanes, the Manukau Rail South Link, the battery powered trains to Pukekohe, and the Southern Airport Line open up better accessibility to transit connecting us to more places. This is what investing in transit is all about even if you do not take transit. Another way to look at it is going from a two car household to a one car household and using transit in place of that second car ($5,000/year running a car and $2,520/year for HOP – Papakura – Britomart – Papakura) would save you $47.69/week (50 per cent of running the second car). I would call that a true tax cut. Transit, it works and is worth investing in. The rest comes down to September 23!